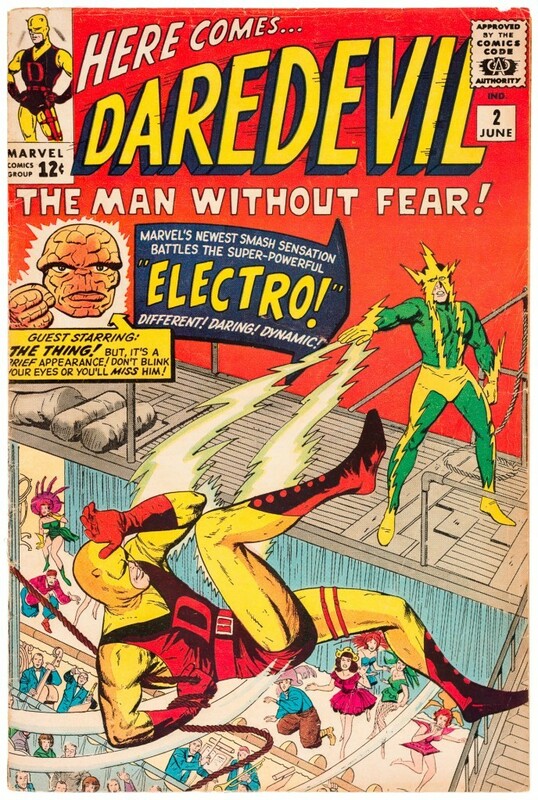 Online auction house Voyage Vintage's first auction will be dedicated to the sale of the first hundred comic book issues of Marvel superhero Daredevil. Daredevil was created in 1964 by the legendary Stan Lee, the father of Marvel Comics, artist Bill Everett and illustrator Jack Kirby. 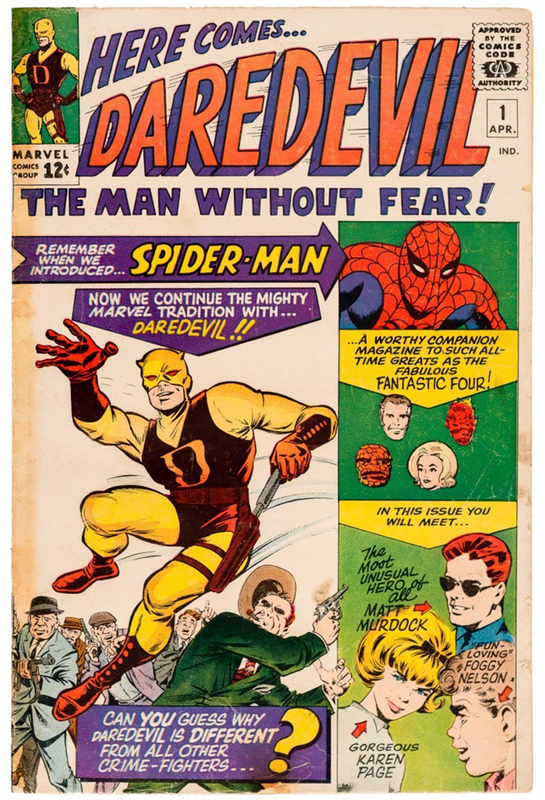 The first issue (Daredevil #1) launched in April 1964 and told the story of origin of the "red devil": Matt Murdock, who resides in New York's Hell's Kitchen district. Murdock was blinded by an accident with a radioactive substances. His loss of sight simultaneously bestowed him with great power. By day, Murdock is a lawyer, come night he fights for justice outside of the courtroom as "the man without fear". In the first 6 issues of Daredevil, the hero wears a yellow and black suit, however, by issue 7 (Daredevil #7) his costume has been updated to red, the iconic outfit which Daredevil is recognised for today. Matt, and his alter ego, Daredevil, are out to avenge death of his father, who was killed by assassins. His mission marks the beginning of a lasting fight with anti-heroes including the Kingpin and Bullseye. In 2015 the popular series and Netflix, brought the story to the masses once again, after Ben Affleck's 2003 portrayal of the hero in red left critics cold. 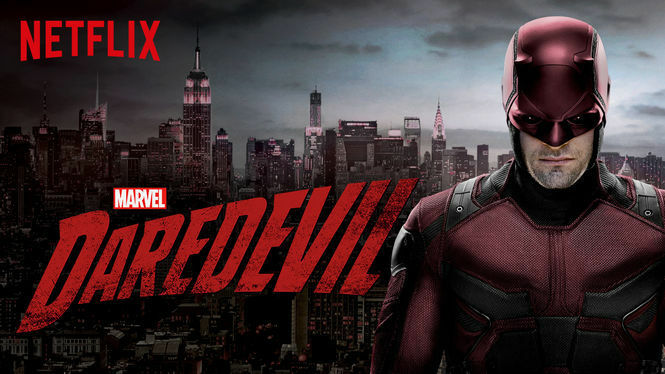 In the 1980s, Daredevil became part of Marvel's elite as the character appeared in an animated television series, video games, merchandising and movies. 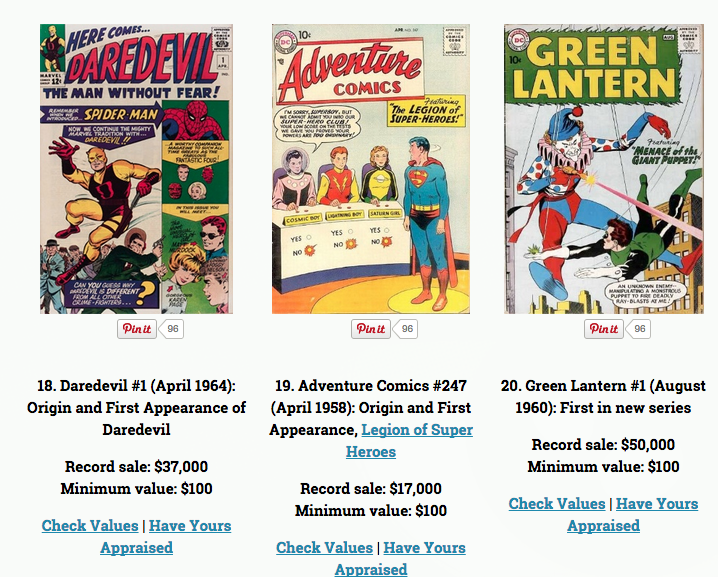 The auction of the first 100 issues Daredevil's collection is included in the Top 20 of the most valuable collections of the so-called "Silver Age" of the comics industry. Check out Voyage Vintage on Barnebys here.